We have gradually been expanding the library of teaching videos on our YouTube channel (AUTISMartCOMMUNICATE). One of our recent videos features Kevin, a less verbal young man (age 20) who has a diagnosis of autism. I have known Kevin since 1998, and we have been drawing together since 1999. I thought it would be interesting for you to see where Kevin started. 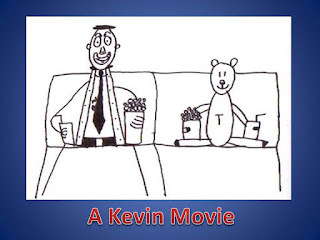 In March 2000, when Kevin was 7 years old, we videotaped some of our therapy activities - this series of 5 short video clips (extracted from those tapes) gives a "flavour" of who Kevin was at that point. He was a beautiful boy, physically delicate with many medical issues, and he was mostly non-verbal (occasional single words to give basic information, echoing of longer word strings from computer games and movies). He was prone to melt-downs, especially in the school environment, and would be unable to say what was wrong. He was clearly intelligent but very difficult to engage in social/communication interactions. I'm still hoping to be able to post the longer versions of these therapy clips, but at the moment, these small snippets are all that I was able to successfully convert from my old VHS videotapes to video files that will play on YouTube. Drawing was a context that gave us long stretches of quiet focused attentive interaction. The boy who actively blocked me out of his play scenarios (in favour of playing every part himself) would now watch and listen and soak up all of the information, then wait for more. It felt like magic to a desperate "attention-seeking" therapist like myself. Over the years, we have used drawing to teach language, literacy and many other social and academic topics. 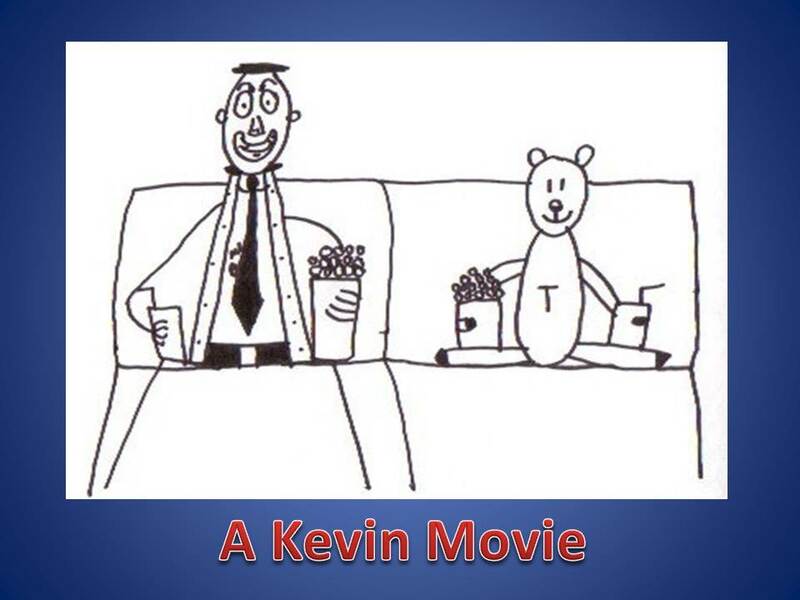 Kevin draws wonderful stories full of emotional reactions and interactions between the characters (usually Mr. Bean, Teddy and the members of Kevin's immediate family). We "back-fill" meaning into his reading and writing activities as we draw out the complete meanings of the words and phrases. In addition, his mom has made an extensive library of visual teaching materials to help Kevin learn complex subjects (like higher level math & computer animation) with meaning. He is an intelligent young man who learns in a very different way. He drew the baby eating an apple, and then drew the wart? or eyeball? protruding from the top of the baby's head - we weren't able to figure out what this was, and Kevin couldn't verbally explain it (but he put it there very carefully and purposefully, so it obviously reflected what he thought the changed sentence meant). I then added the visual clue of the sad face by the word "sadly" and he drew the worm in the apple (apparently the reason that the baby was sad). When we asked him how the worm made the baby feel, he drew the arrow and the second picture showing a sad baby. And here's a recent video of Kevin drawing with me (demonstrating a language-learning drawing activity). Kevin has developed his own distinctive style - he draws in a relaxed confident way, and he enjoys displaying his art-work to share it with his family. It's hard to connect this calm young man sitting attentively beside me, interacting visually and verbally, with the challenging reactive young boy that he used to be - but they're one and the same. Drawing is a great way to make the connection and find out who's inside the complicated exterior. I love a surprise ending!